during festivals like Diwali, Dasara, Gudi Padwa, Holi or any special occasions. This is very yummy and tempting sweet flat bread recipe. To make sweet stuffing, I have used rava or semolina, sugar, cardamom powder as main ingredients and for the outer layer, wheat flour is used. We use orange food color for this Rava Kesari.Instead of food color, I have used saffron strands to get a Kesari color to the sheera. 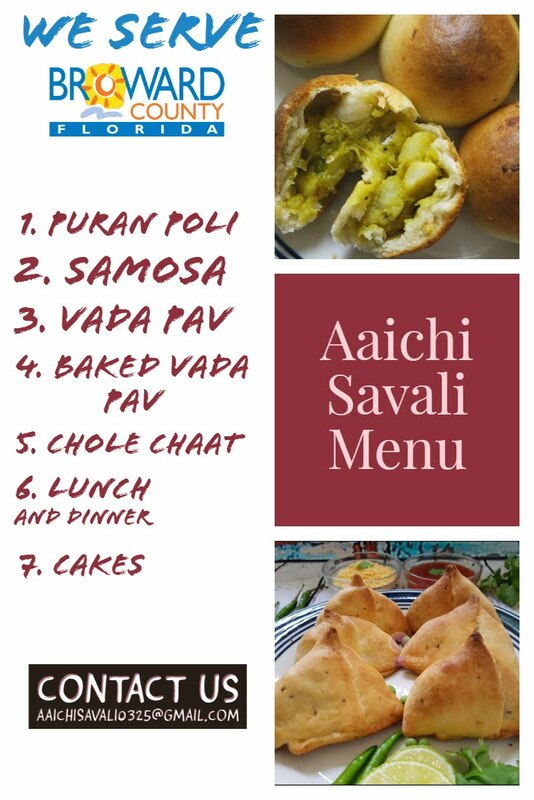 It requires only 15 minutes of your time, and it can be a great tiffin box recipe for kids, or it can be a good option for any sweet flat bread. So give it a try! 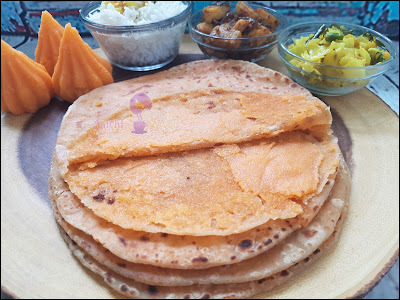 Each Sheera Poli Contains 195 kcal. water and knead to make soft dough. Drizzle some oil, cover the dough and keep aside. Turn on flame and place a pan, add ghee, semolina and roast lightly on medium to low flame. Cook, stirring continuously. 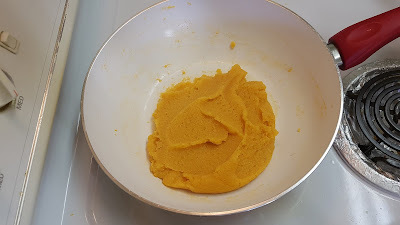 mixture to the roasted semolina, cook till the semolina is cooked and become a soft consistency. 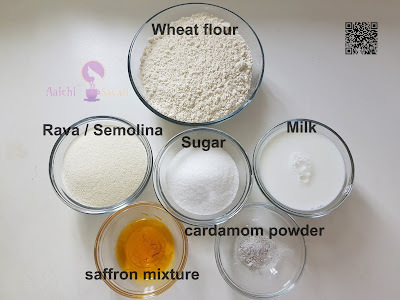 It's time to add sugar and cardamom powder to semolina and stir continuously and cook till the semolina is cooked and forms a thick sheera or sheera starts leaving the sides of the pan, remove from the heat and allow it to cool. Meanwhile divide the sheera into equal portions. Then divide the dough also into equal portions. 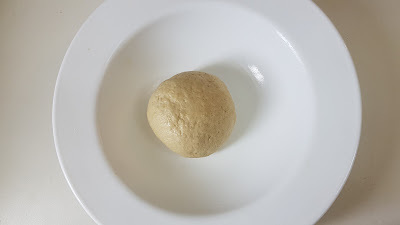 Roll a portion of wheat dough, place a sheera portion in the centre and gather the edges to make a round ball. Further roll into a poli / chapati, dust with flour and roll again. Heat a tava on medium heat. Roast the stuffed chapati / Poli on slow heat on both sides, by smearing ghee or oil on both sides. 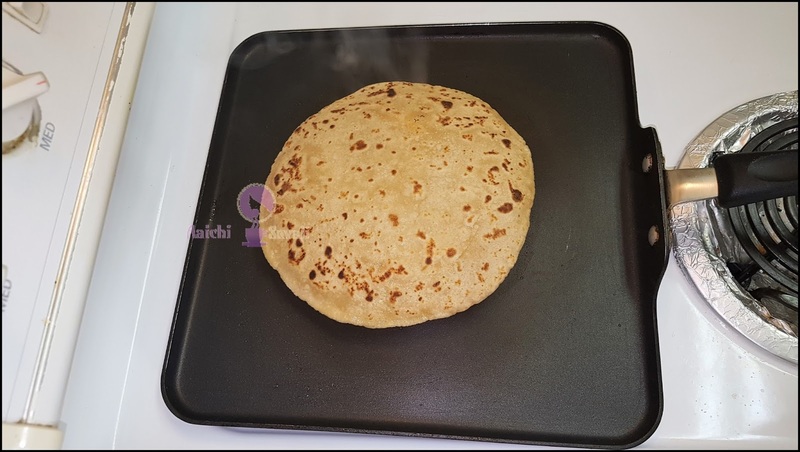 Similarly use the remaining sheera and the dough to make more poli /chapatis. Here, sweet, delightful and yummy Sheera Poli is ready to serve. Enjoy!!! Per serving contains 195.11 calories, along with carbohydrates - 35.93 g, dietary fibers - 1.14 g, fats - 3.43 g, proteins - 5.58 g.
Helps to prevent type 2 diabetes - consumption of whole grain wheat promotes healthy blood sugar control. Helps to prevent constipation, lowers blood cholesterol and might help you lose weight. 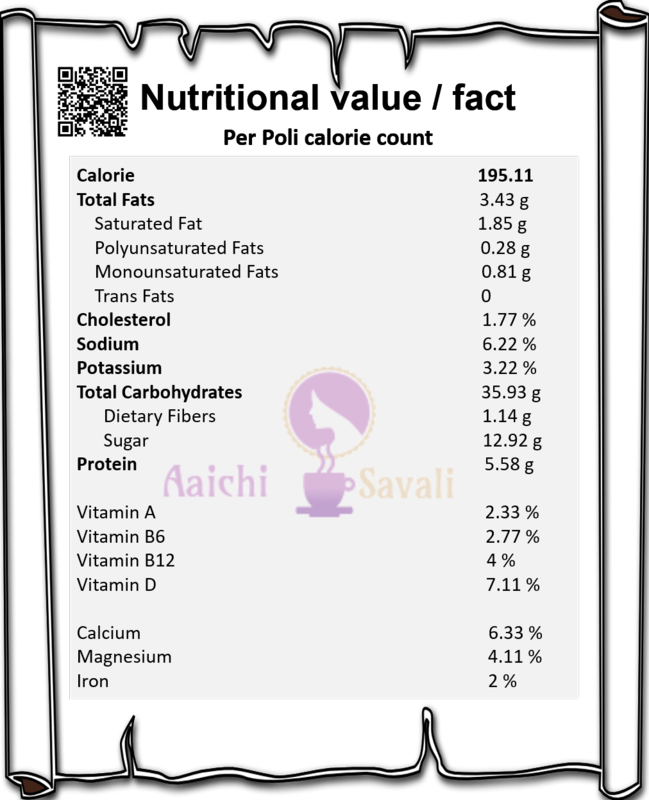 Semolina is a top choice for diabetics as it has low GI. Compared to white flour, it is digested and absorbed in the stomach and intestines at a slower rate. Weight loss : It's good when you are trying to lose weight, your appetite gets suppressed, which means that you do not have to snack in between meals too often. Semolina flour contains carbohydrates, which are important for the production of energy in your body. It is an ideal food for people who require high energy levels. Semolina flour is high-carb, it is low in fat. Replace maida with semolina flour to make cakes, cookies, biscuits, breads and other baked goods. It helps to your body get the important nutrients to keep itself healthy and free from many different diseases. Use semolina to make pasta and pizza crust. If you often make your own pasta and pizzas at home, you should consider using this flour instead of the all-purpose flour. You can also use semolina to thicken soups and stews. It lends great flavor to these dishes and gives you the consistency you are looking for. You can also use it for gravies. It is good source of iron. It prevents iron deficiency that can result in a weak immune system, fatigue, etc. The trace minerals in semolina, such as phosphorus, zinc and magnesium, are beneficial for the health of your bones and nervous system. *Those with gluten intolerance would need to avoid eating semolina, as it contains gluten. It is good to eat Sheera Poli for lunch or as a brunch.